When is the best time to get an AC tune-up on Maui? That depends on where you are on the island. Again, the climatic variation in this small chunk of land is worth noting. There are places where people don’t need an AC and places where an AC runs constantly throughout the year. Nevertheless, an annual AC tune-up, which we recommend before summer, isn’t a bad idea. You’re probably wondering why you need to make small adjustments to your cooling system before summer. 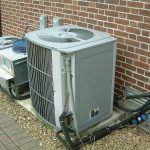 Why should you check your AC if it worked fine last summer? If it was working fine, then it should be working fine, right? Not so fast. Regular AC tune-up on Maui is part of maintenance, which is important to ensure your equipment is working as it should be. It allows you to see if your machine is starting to have issues, so you can do something about them before they get worse. It also prepares your cooling system for its full-time work ahead. When is the best time for an AC tune-up on Maui? Most people just call a repair guy when their AC malfunctions. You don’t have to wait until this happens. Schedule an appointment with your HVAC technician for a tune-up. The best time for a tune-up is in spring or after the cool months, just before the hot summer season. You want to prepare your system before it works into overdrive, which is why we do a lot of repairs during the warmest months. However, you don’t have to wait until next spring if you no longer remember the last time you had your air conditioning system tuned up. Your system becomes more efficient. Efficiency is always a good thing. When you air conditioner is efficient, it works less and delivers the same results. Meaning, it uses up less energy for the same amount of cooling. Therefore, an efficient system curbs energy costs. It’s good for the pocket and the environment. You’re less likely to have premature troubles. Discovering minor defects or damages before they go worse is one of the untold benefits of an AC tune-up on Maui. Minor repairs should be in order once such problems are seen lest they become worse and wreak havoc in your house and in your savings. Tune-ups improve the lifespan of your air conditioning system. Lack of maintenance is one of the causes of an AC’s early retirement. Annual maintenance keeps your unit working fine and keeps problems in check. Hence, your system works well and you won’t have to buy a new unit too soon. You can anticipate a needed replacement. Yearly AC tune-up on Maui and check-ups allow you to be more familiar and intimate with your machine, so you know if its age is becoming a liability. For instance, old units have old parts that begin to break down. And by the time your air conditioner reaches the end of its lifespan, new models with greater efficiency will have to take its place. When to Call a Professional Technician? Basic maintenance tasks usually can be done by most homeowners. It’s not hard to clean the filters on your own. Or probably it is! When you’re not sure what you’re doing or how to do it, you’re better off just letting an HVAC technician do the job. AC tune-up on Maui may sound so easy, so a lot of people take their air conditioners apart only to realize they have underestimated the task. So, yes, cleaning the condenser seems pretty basic, but it’s better done by real technicians. You could mess with the delicate parts of the unit and affect its performance. Licensed technicians know what to look for. Your HVAC technician should be able to tell you the health of your AC and the possible problems you might encounter with it in the future. If you need a AC tune-up on Maui, call Pacific Air Conditioning at 808-244-0161. We maintain and repair air conditioners of homes in Wailuku, Kihei, and Kahului.